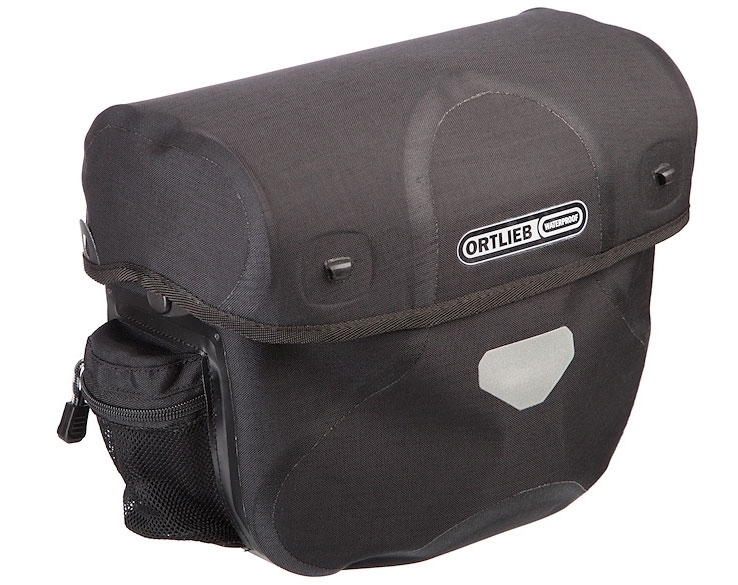 With waterproof protection from the elements, the Ortlieb Ultimate 6 Plus handlebar bag keeps your riding necessities easily accessible and protected no matter the weather. For us this is where we put pretty much everything that we like to access daily and frequently. Andrew stores his camera, click-stand, Kindle and iPod in there. I have more of a junk bag going on. I store my binoculars, kleenex, extra pair of glasses along with a few dollars. Then as my day progresses I usually end up with maps, gloves, a hat to put on after I ride and invariably some kleenex as I always seem to be blowing my nose. I’m not sure I can say anything badly about them. The only thing I would caution you with is that you should be sure it is hooked on fully before loaded it up and riding. Sometimes if you don’t depress the button where the key goes it doesn’t catch properly and can wear down on the plastic mounting unit. It’s great for the extra little side pockets where you can put lip balm, tooth picks or whatever little things you like to be able to access without digging in the big bucket. 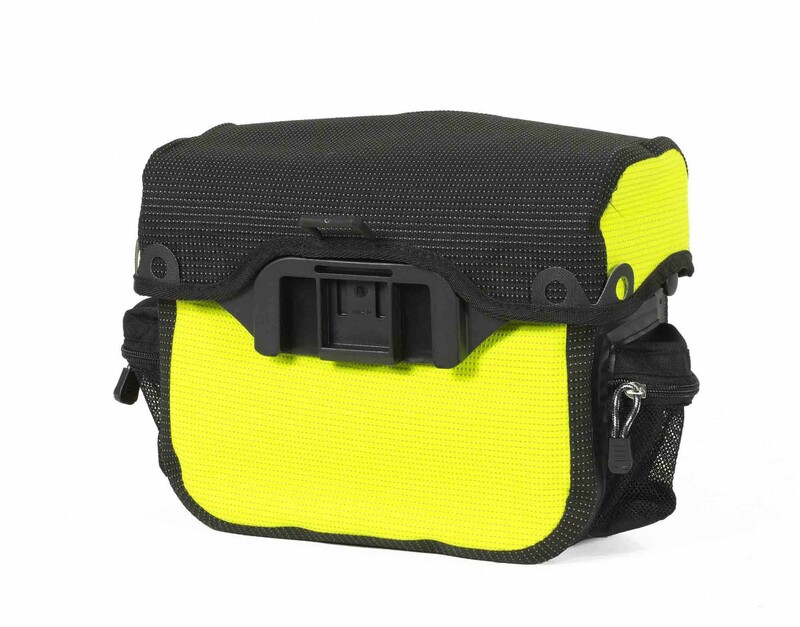 The handlebar bag is an essential item and we have met very few touring cyclists who travel without one. Big thumbs up from us.